After a successful career with EMI and Plessey, Robert Dyer joined the Oxford Polytechnic on the Wheatley Campus. A graduate in History from the University of Cambridge, he was widely read and had a sound practical knowledge of the world of Business at a senior level. Students found him to expect and maintain high standards, and yet he was always sympathetic to their needs. Colleagues found him helpful at all times and he enjoyed analysing problems and giving a balanced view. 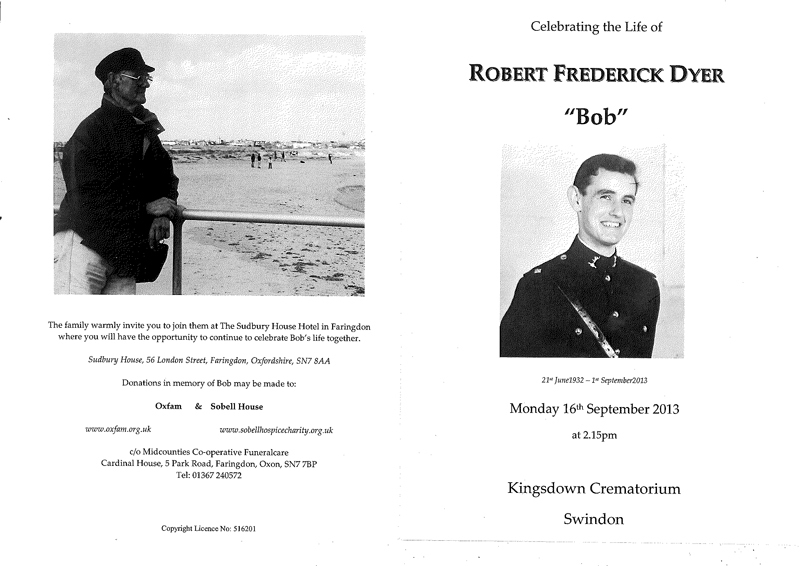 Robert was highly intelligent, always smartly dressed, thoughtful, unflappable with a delightful sense of humour. It was a pleasure to be in his company and he will be sadly missed. He died on 1st September 2013, and his funeral was at Kingsdown Crematorium in Swindon on the 16th September.